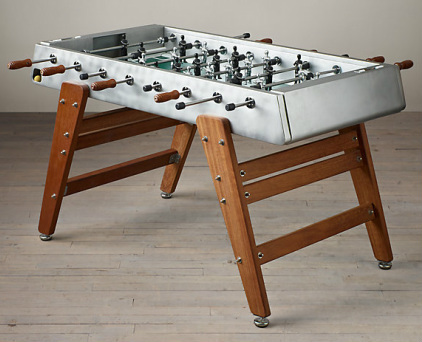 This deluxe game table is made in Spain and features stainless steel components and Iroko wood that is built to be weatherproof. 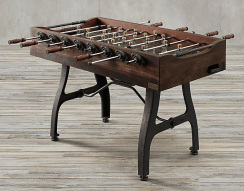 The outdoor model offers a sophisticated design that is great for a loft or outdoor patio space. 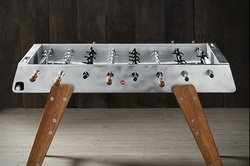 The steel top makes this rugged and manly that is a true one-of-a-kind that we don't see in many tables.